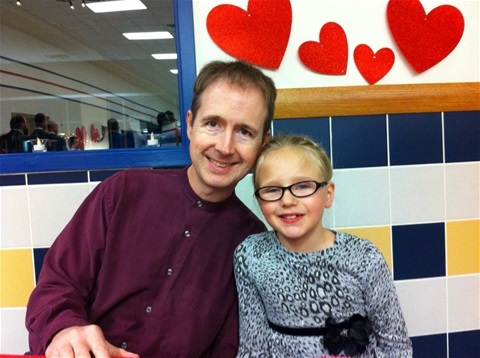 In the continuing adventures of the Texas girls, Jessie, who is 7, and her Daddy who is somewhat older, had a wonderful time at the Daddy-Daughter Dance. Miss Jessie and her Daddy had a big night out last night. Miss Jessie and her Daddy talked and laughed till almost eight. Which suited them just fine. Miss Jessie and her Daddy, made memories last night. Loved every minute last night at the Wally Watkins Elementary ball.